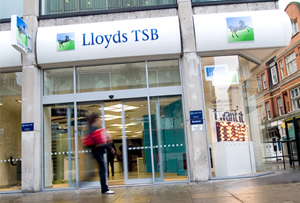 Lloyds Banking Group fined £28m for bonus scheme culture which encouraged the sale of unsuitable products. The Financial Conduct Authority (FCA) said it was the biggest fine it had ever imposed on a retail banking operation. The £28m penalty was in response to bonus schemes which put pressure on staff to hit targets on the sale of investment products such as stocks and share ISAs and insurance protection products. As a result, this put pressure on staff to push unneeded products on customers or face being demoted. For a Lloyds TSB adviser on a mid-level salary, not hitting 90% of their target over a period of nine months could see their base annual salary drop from £33,706 to £25,927; and if they were demoted by two levels their base pay would drop to £18,189 – almost a 50% salary cut. In one instance, the regulator said, an adviser sold protection products to himself, his wife and a colleague to avoid repercussions. ‘The findings do not make pleasant reading. Financial incentive schemes are an important indicator of what management values and a key influence on the culture of the organisation, so they must be designed with the consumer at heart,’ said Tracey McDermott, FCA enforcement director. The fine was incurred across the various businesses that Lloyds Group owns, including Lloyds TSB, Bank of Scotland and Halifax, which is part of Bank of Scotland. The regulator said competency standards were ‘seriously flawed’ and advisers still received a monthly bonus even though a high proportion of sales was found by Lloyds to be unsuitable or potentially unsuitable. Between 1 January 2010 and 31 March 2012, the FCA said Lloyds advisers sold more than 630,000 products to over 399,000 customers, who invested about £1.2bn and paid £71m in protection premiums. Halifax advisers sold over 380,000 products to more than 239,000 customers, who invested around £888m and paid £38m in protection premiums. Bank of Scotland advisers sold over 84,000 products to over 54,000 customers, who invested around £170m and paid £9m in protection premiums. Taxpayer-backed Lloyds has already set aside more than £8bn to compensate victims of PPI - Payment Protection Insurance mis-selling - the largest provision made by any British bank.